Our Jamaican Jerk Style smoked turkey is smoked not fried and it is seasoned with a traditional hot and spicy jerk seasoning which includes the spicy scotch bonnet pepper is used to marinate the turkey. For those who love spicy hot foods! $39.95 Shipping (US 48 States). One (1) Deep Smoked Jamaican Jerk Style Turkey. The product is all natural. The turkeys contain no artificial ingredients and are only minimally processed. Each turkey is 12 to 14 lbs. 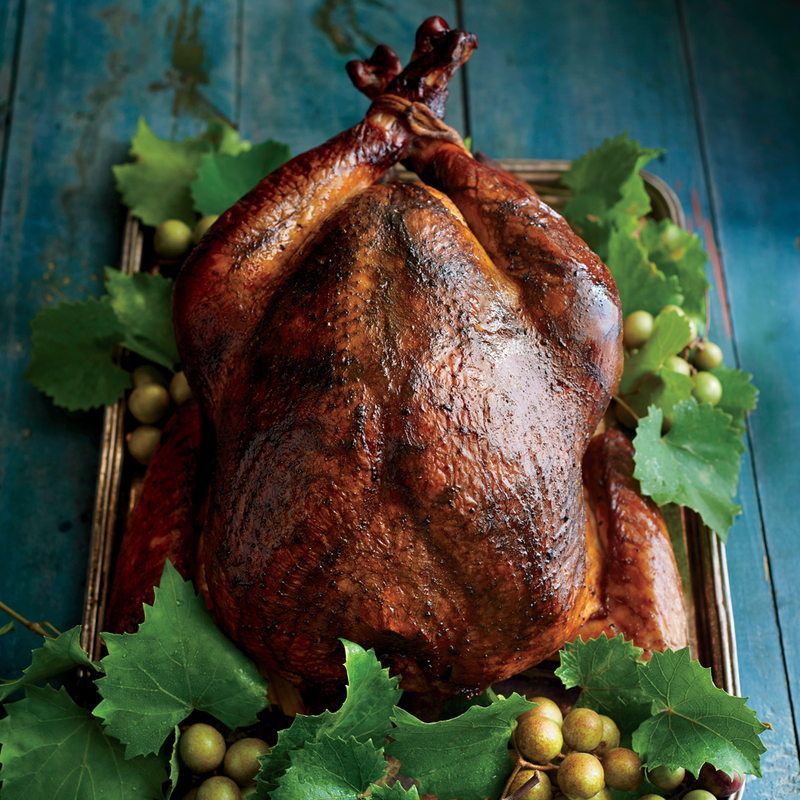 before smoking, after smoking weight varies, each turkey serves 10. Each turkey is sold smoked and it must be defrosted and are not fully cooked, they each require heating until the internal temperature reaches 160 F or higher. Manufactured in a facility that processes with refined peanut oil but not on the same equipment. This item is sold in a special bag which allows the skin to re-crisp when reheating and keeps the turkey juicy and moist. Turkeys are in transit overnight. Reheating instructions are provided.